The Sales Funnel is a concept that’s a bit broken these days because it implies that every customer lines up and marches down a predetermined path into loyalty heaven. The reality is that every prospect takes a different journey and we need to design a path that guides them in the manner they want to buy. The path is more about organizing behavior than about creating demand. Read the rest from The Exact Target. The Sales Hourglass is about taking customers and prospects on a journey they weren’t aware they were going to travel. I’m talking about a dramatic shift in the sales process. It’s not about tricking the customer or wasting their time; quite the opposite. It’s about making sure they arrive at the most helpful destination of all. If we look at our job like we are going on a journey with our customer, instead of simply leading them, it can really make the entire sales process quite a remarkable one. Read the rest from Freshbooks. Today’s sales process must be bathed in collaboration. The idea of a “sales process” is not a new one, most sales people either figure something out that works and it become the de facto process for them or their organization hands down and trains around a specific method or moving a lead from inquiry to close. A sales process is really little more than a standardized set of steps that are turned into a process in order to create consistency. The most common approach goes something like this – a prospect demonstrates interest, the salesperson digs for pain, presents a solution, handles objections, proposes a purchase, wrestles with terms, handles more objections and goes in for the close. Some firms have embraced a more “adaptive” approach, which centers around zeroing in on understanding and controlling the buying process itself – how a buying decision is made, what selection criteria is used, how benefits are quantified and, most importantly, how funding for the purchase is allocated. Over the course of the last decade I’ve championed a marketing process I call the Marketing Hourglass. The basic concept is to broadly design your marketing initiatives with an eye on logically moving prospects and clients through seven stages: know, like, trust, try, buy, repeat and refer. 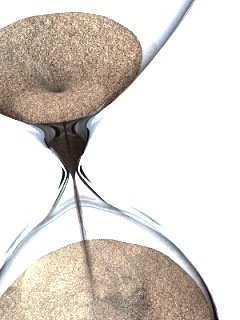 The Marketing Hourglass guides the prospect on a journey and creates the right opportunity – a prospect first comes to know about your firm or solution as an option and then moves, in many cases unguided, through a series of intentional steps provided to build like, or even belief, leading to the trust required to actually engage a firm. Traditionally the middle of the hourglass – the try and buy phase – is where the sales team steps in. I believe one of the core responsibilities of sales professionals today is to insert themselves earlier and later in the buying process so they can personalize the journey before, during and after the sale. The shape of the Hourglass actually draws upon this notion that the job of sales is much broader in the phases prior to and after a sale and only gets more narrowly focused during the try and buy phases required to make a sale. At this point the individual sales professional must introduce a unique process I call the Sales Hourglass. The Sales HourglassTM is a set path that a salesperson can operate in conjunction with marketing in an effort to help a prospect become engaged in the specific process of buying. Think of the Sales Hourglass as your individual prospect playbook – The tool that will help you tailor your sales method for each client. One of the greatest benefits of a structured tool such as this is that it keeps you focused on the next step, even if that next step is the decision to pursue other opportunities. Merely demonstrating the Sales Hourglass process to a prospect will allow you to stand out as it introduces valuable steps not often taken by traditional sales professionals. The Sales Hourglass process (no matter what you decide to call it) is in itself a valuable teaching tool. I believe that these steps actually demonstrate not only a better way to sell, but also a better way to buy. The key difference between the two hourglass applications is that while the Marketing Hourglass is broadly cast at an ideal client persona or description, the Sales Hourglass is focused on an individual prospect or need and operated at this much more personal level. Another core difference is that the journey through the Sales Hourglass must be based on the mutually agreed upon notion that you and the buyer are prepared to determine there is no journey to be had at all. Explore (Know) – The explore phase is, as it suggests, the place where you’ll conduct your own research such as discovering the elements of an organization’s community, constructing stakeholder maps and uncovering problems that you can make visible. This step can be started in response to a sales request, but it must be conducted not simply in response, but as an opportunity to explore the best possible solution or path, even if it differs or contests the stated directive from a prospect. Collaborate (Like) – The next step in the progression is to take what you’ve learned and assumed in the exploration state and start talking about innovations with a prospect. At this point, you’re simply discussing higher-level ideas, but don’t be surprised if you start finding out things that your organization doesn’t want to hear. Things like I need your products to do X or why can’t anyone figure out how to solve Y? The good news is that simply asking for and receiving this kind of information will make you more valuable to your clients and to your organization. The collaboration phase consists of sketching ideas and solutions that perhaps don’t exist anywhere as of yet and getting a prospect to think about how these ideas might impact their success. This process takes some guts because the best possible outcome may not be available through you, but I believe the long-term game is always served when you deliver value no matter what the package. Design (Trust) – The next step is to take what you’ve learned while exploring and collaborating and begin to design a solution with your customer and with your company. I know this may actually sound ridiculous if you’ve come up in a world driven by a catalog and inventory levels, but winning in today’s sales environment takes creating custom solutions that reach beyond a set of specs and push customers to think beyond rigid solutions to employ new ways to use technology, social sharing and collaboration as innovations that move them forward. Imagine if you changed your mindset from “sell what I have to sell” to “anything is possible” in terms of creating a successful customer journey? This is the ultimate trust building activity and changes the content of what you have to sell while certainly changing the context of the role of a salesperson. Define (Try) – You’ve effectively crafted a solution with and for your prospect and the job now turns to defining how the solution will be structured, delivered, implemented and paid for. This is the closest thing there is to a proposal and given the careful execution of the preceding steps this is where the deal is inked. As the design of the solution was collaborative there is no closing involved – the customer essentially accepts a reality they helped to create. This is not to suggest there won’t be a great deal more work to do. Perhaps the solution you co-created needs a sponsor to gain budget, perhaps many more stakeholders need to weigh in on and understand the implications of this new approach and even your primary contact may begin to question certain elements of the vision, but the beauty of this initial approach is that you’ve essentially distanced direct competitors from the mix. Deliver (Buy) – In many organizations, once a deal is inked the salesperson’s job is done. Customer service, project teams or delivery experts take over. There are many practical and real reasons for this kind of hand-off, but I believe the true expansion of your value comes from staying very active with the client after the sale. This may very well require extra time and effort on your part, but if you and your client started this journey you’re probably more equipped to make sure you either end up at the destination or take side trips that make sense. At the very least, design, in conjunction with your marketing folks, an orientation process that allows you to elegantly move the process to other team members or departments. If you want to build a reputation for delivering value you can’t ever abdicate the progress of the journey. Measure (Repeat) – Quite often the value of a solution can’t be easily measured, and yet, it’s an essential element. The Sales Hourglass performance operates at a much higher level when you become obsessed with measuring, analyzing and communicating the value your customers receive. You can discover instances in which you client received exactly what they expected. Helping your client actualize these results reinforces the value of working with you, leads to additional positive contacts and opens the door for additional opportunities. You must find a way to make a review of results part of your Sales Hourglass. Engage (Refer) – It’s amazing how often sales professionals neglect to engage past customers until it’s time to reorder or time to review a contract. Frequently re-engaging customers through continued education and exploration is what leads to the discovering of new opportunities, new introduction and referrals. The beauty of delivering such amazing value before, during and after the transaction is that you’ll be seen, not as a pesky salesperson checking in, but as a valued contributor or consultant. The Sales Hourglass is a powerful sales methodology, but it does not need to be viewed as a process strictly employed the “sales” department. The Sales Hourglass is essentially a teaching process and is equally effective in the hands of business development, customer service, technical support and HR. In fact, many firms could benefit from using this methodology with internal stakeholders to create more collaborative buy in for things like new technology deployment and annual priority setting.